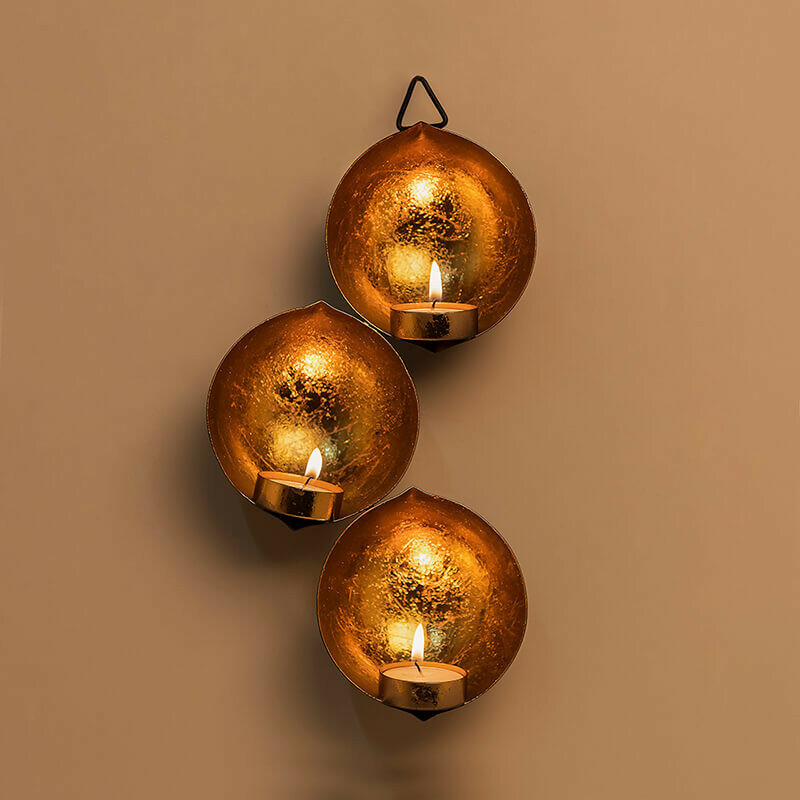 Bring life to your walls with our tear drop shaped metal candle holder.It curved out of pure brass this wall hanging item gives unique look to your wall. 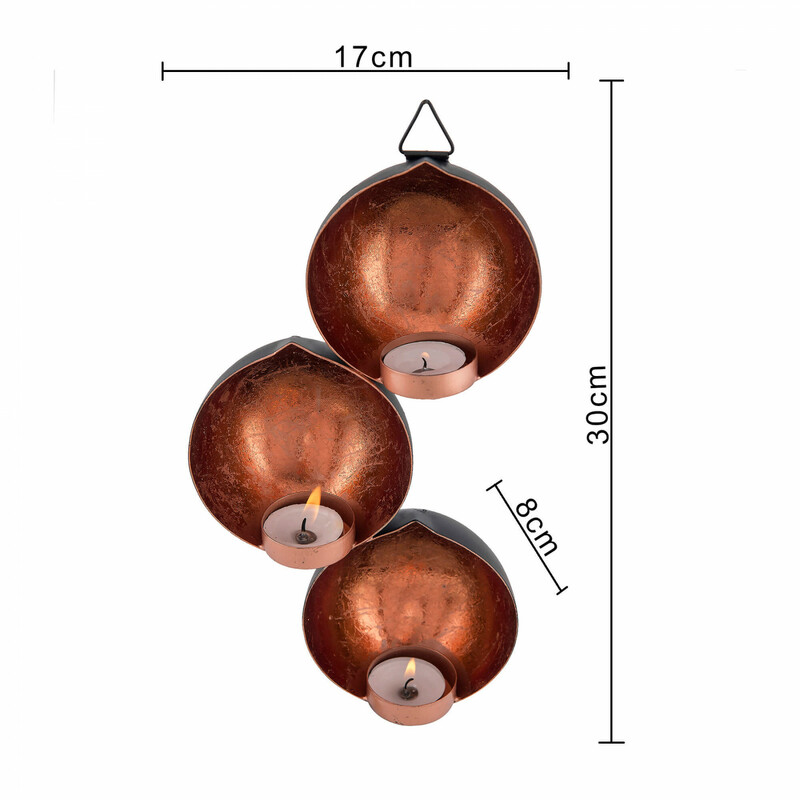 Beautifully crafted in black and copper, gold & silver foil tones, this tealight holder is perfect for wall mounting. 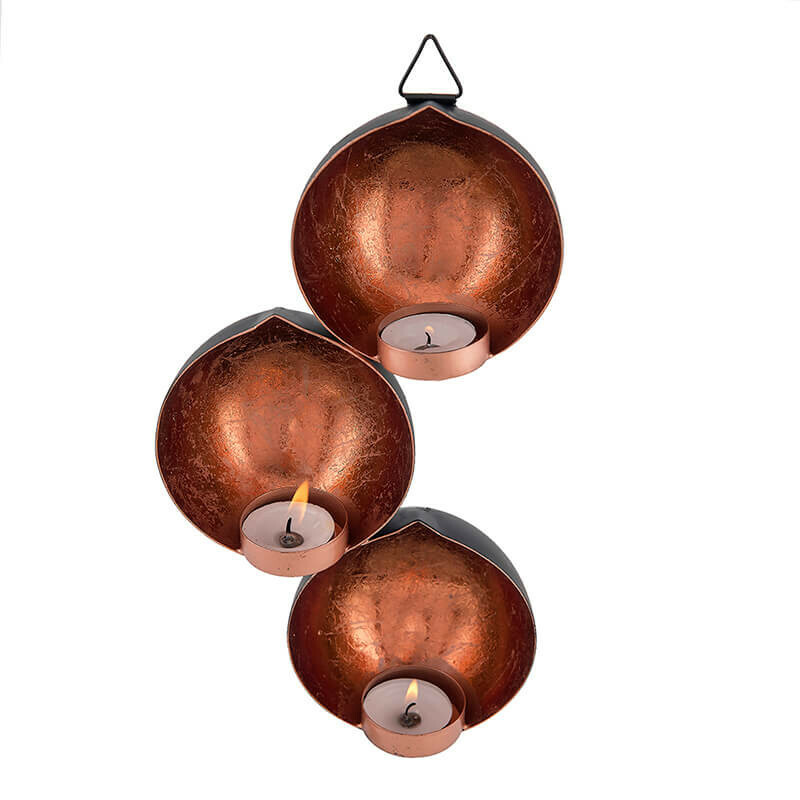 stunning copper look inside wall makes it absolutely marvelous even without a tealight. 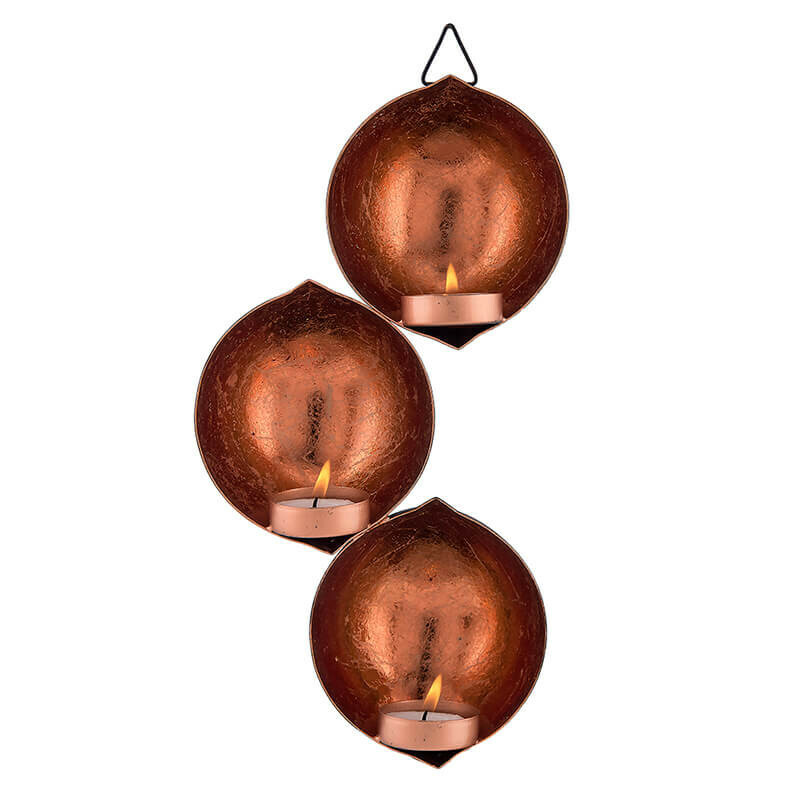 It can be hanged at your entryway, kitchen or living room walls for a cosy glow while you relax and enjoy.Comes with tealight for each.